Home > Products > ChargeIt by Jay Gold Round Charger Plate 13"
Enhance any table presentation with the ChargeIt by Jay Gold Round Charger Plate 13". Featuring a sturdy yet lightweight melamine construction, this break-resistant charger plate is an excellent option for high volume settings like restaurants and catering companies and are perfect for use at outdoor venues. Built for aesthetics as well as functionality, this charger plate will complement your dinnerware pieces, protect against spills and facilitate easy cleanup. 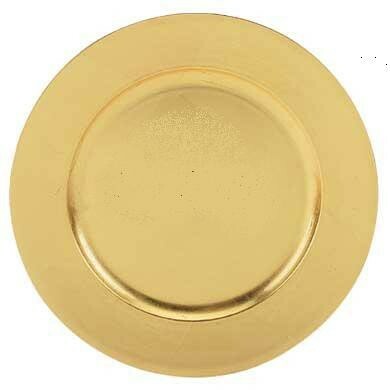 Designed with a bright gold finish it has an elegant touch that makes it perfect for upscale events.